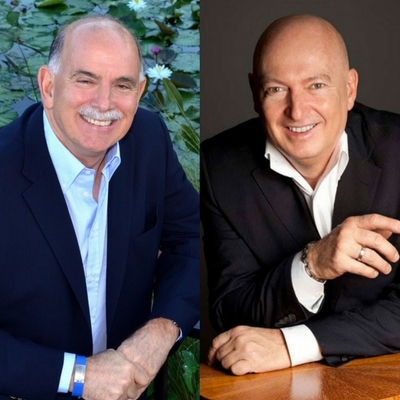 Niagara Falls, NY, January 18, 2018 (Newswire.com) – [Niagara Falls, NY] ⎯ The Distinguished Restaurants of North America (DiRōNA) Award – one of the most prestigious awards for fine dining, is excited to announce Richard Gonzmart and Sir Chef Bruno Serato as the 2018 Hall of Fame Inductees. Richard Gonzmart is a fourth-generation “caretaker” of the Columbia Restaurant Group, which has been recognized with a Distinguished Restaurant of North America Award. Richard has officially been named a Luminary, a Visionary and a Philanthropist of the Year as well as Father of the Year, Hispanic Man of the Year, Businessman of the Year, two-time Alumni of the Year, Outstanding Citizen of the Year and Tampa Police Citizen of the Year. Richard serves or has served on dozens of non-profit boards and organizations. He is passionate about the education of our youth and young adults, and in finding a cure for cancer. Pope Francis recognized Richard with the highest recognition of the Catholic Church, the Pro Ecclesia et Pontifice. Richard’s great-grandfather started the world-famous Columbia Restaurant in Tampa’s historic Ybor City in 1905. Still 100 percent family-owned, it’s now the oldest restaurant in Florida. There are seven Columbia restaurants in Florida and six other Florida restaurants of Gonzmart family brands including Ulele and Goody Goody Burgers. Sir Chef Bruno Serato is an Italian philanthropist, restaurant owner and chef, author, and speaker. Sir Chef Bruno has spoken before audiences of nearly 100,000 individuals about his charity program Caterina’s Club to inspire people around the world to end world hunger. He was recognized with the CNN Heroes Award, was Knighted by the President of Italy and received a papal blessing for his charity work. Sir Chef Bruno is the founder of Caterina’s Club, a charity that feeds over 3,500 children five nights a week in over 25 cities and 62 locations throughout Orange County, California. Bruno has owned and operated the Anaheim White House Restaurant since 1980, the restaurant received the Distinguished Restaurants of North America Award in 1998. Unfortunately, the Anaheim White House Restaurant burned down in February 2017 due to an electrical outlet fire. The Anaheim White House Restaurant is well known as a national Historical Landmark built in 1909 and is not only well known for its decadent food and outstanding service but for its philanthropic work. The restaurant is currently undergoing reconstruction with a projected reopening in spring of 2018.